Considered as one of the great anti-cancer foods, avocados offer nearly 20 vitamins and minerals in every serving. It is a good source of B vitamins (which help you fight off disease and infection) and vitamins C and E, as well as plant compounds that may help prevent cancer. Aside from this, avocados also contain abundant amounts of folate (which is crucial for cell repair and during pregnancy), potassium (which helps control blood pressure), fiber (which helps you feel full longer), and lutein (which is good for your eyes). Avocados are probably one of the best foods for you. In addition to the various health benefits you can obtain from consuming the fruit, studies have also found that avocados may hold the keys to curing certain cancers. Studies revealed that lutein can help lower the risk of prostate cancer and breast cancer. Moreover, this anti-cancer carotenoid was linked to the ability of avocado in boosting working memory, sustained attention, and problem-solving in healthy people. It can also protect the eyes against macular degeneration and cataracts. Aside from being rich in lutein, avocados are also high in heart-healthy fats, potassium ( which is needed for proper nerve function and muscle control), and vitamins. L-Glutathione, also known as the “master antioxidant”, is another cancer-fighting component present in avocado. It allows other antioxidants to function. According to studies, when the glutathione levels in the liver increase, the organ can more effectively detoxify the body of pollutants and toxins. Plus, it can also protect the cells from oxidative stress. Both vitamin C and E, which are present in avocados, help improve antioxidant properties of the human body. Vitamin C is also a powerful antioxidant that inhibits cell-damaging free radicals. Meanwhile, vitamin E is essential to the production of red blood cells, normal cell function, and a healthy immune system. Additionally, vitamin E also protects cells, tissues, and organs from free radical damage. Some other antioxidants present in avocados are epicatechin, violaxanthin, neochrome, and about a dozen others. 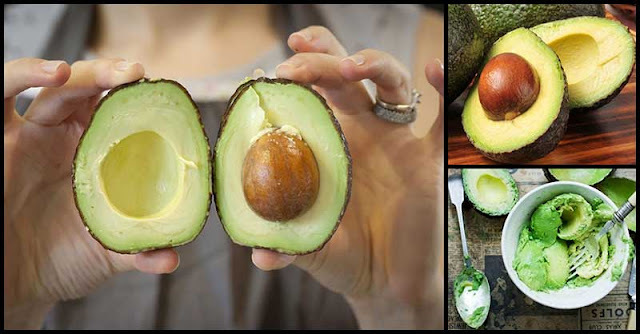 According to studies, the concentrated amounts of carotenoids (alpha-carotene, beta carotene, zeaxanthin) found in avocados can help prevent the growth of breast, prostate and oral cancers. Carotenoids are most plentiful in the dark-green portion of the flesh that's closest to the avocado skin. Found in plants are natural chemicals called phytochemicals or phytonutrients. They are the ones that guard the plants against fungi, bugs, germs, and others. Consumption of these phytochemicals can help the body work properly and prevent diseases. Carotenoids, one of the phytonutrients present in avocado, acts as an antioxidant in the body – meaning they can fight off free radicals that can damage tissues throughout the body.